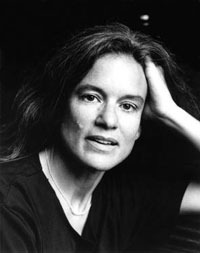 Born in San Francisco on November 19, 1942, Sharon Olds earned a B.A. at Stanford University and a Ph.D. at Columbia University. Her first collection of poems, Satan Says (1980), received the inaugural San Francisco Poetry Center Award. Olds's following collection, The Dead & the Living (1983), received the Lamont Poetry Selection in 1983 and the National Book Critics Circle Award. Her other collections include Strike Sparks: Selected Poems (2004, Knopf), The Unswept Room (2002), Blood, Tin, Straw (1999), The Gold Cell (1997), The Wellspring (1995), and The Father (1992), which was shortlisted for the T. S. Eliot Prize and was a finalist for the National Book Critics Circle Award. About Olds's poetry, one reviewer for the New York Times sa Born in San Francisco on November 19, 1942, Sharon Olds earned a B.A. at Stanford University and a Ph.D. at Columbia University. Olds's numerous honors include a National Endowment for the Arts grant and a Guggenheim Foundation Fellowship. Her poetry has appeared in The New Yorker, The Paris Review, and Ploughshares, and has been anthologized in more than a hundred collections. Is this you? Let us know. If not, help out and invite Sharon to Goodreads.